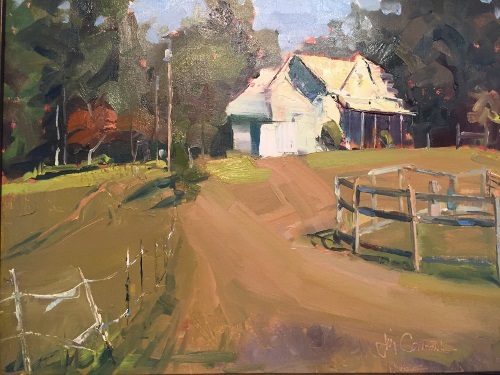 Jim Carson has been painting in both oil and acrylic for over 25 years.Jim was the managing partner in the law firm of Chambless, Higdon and Carson, in Macon, Ga., where he practiced law for 31 years. Although always interested in drawing, even at an early age, Jim’s interest in art was dormant while law school, marriage, raising a family, and building a law practice took precedent. About 25 years ago, Jim’s wife gave him a painting course for Christmas, and Jim has never looked back. 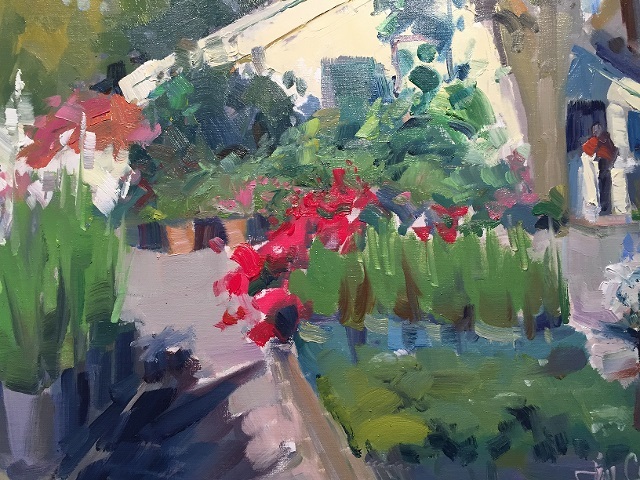 This journey culminated in July, 2003, when Jim retired from law practice, moved to Saluda, N.C., and he now paints full time. 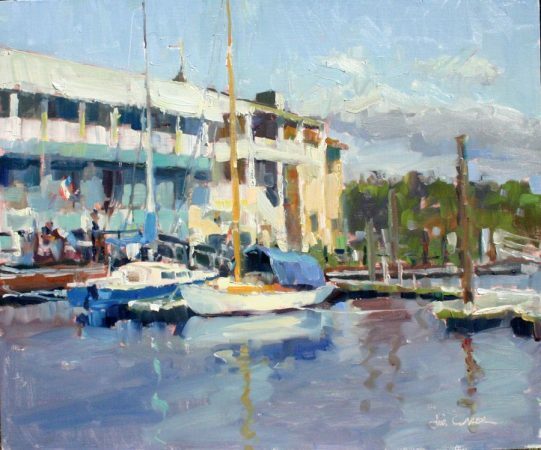 Jim is a member of the American Impressionist Society and is an associate member of Oil Painters of America. He has had paintings accepted in shows in both. 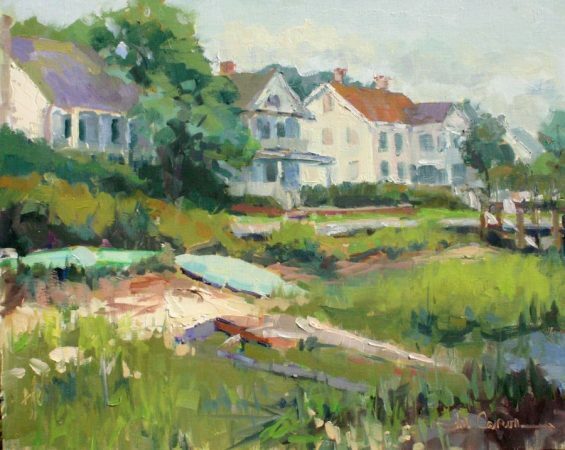 Most recently, one of his paintings was accepted to the 2014 Oil Painters of America National Juried Exhibition in Bennington, Vermont, and the 2014 American Impressionist Society National Exhibition in Denver, Colorado. Jim gives workshops throughout the U.S., and is known for his harmonious color balance and bold brushwork. For more about Jim, visit his website here.